In October 2015, the Active Transportation Alliance (ATA) announced its longer-term goals and five-year vision for maximizing the network of trails and bike lanes throughout Chicago. The bike advocacy group is strongly proposing the addition of 50 more miles of bike lanes within the next four years through the installation of additional buffered, protected bike routes, neighborhood greenways and urban trails. 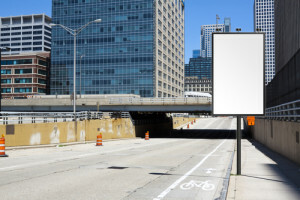 The ATA report titled “Bikeways for All” proposes installing “low stress bike routes” primarily defined as bike lanes that physically protect the cyclist for motorized traffic on Chicago’s busiest streets. The alliance hopes that the installation of the new protected bike lanes provides a similar experience to bicycle riding on many of the community’s off-street trails. The additional bike lanes would be designed to eliminate the fear that many bicyclists have of riding in heavy traffic. The ATA report noted that many of the shared bike lanes and standard bicycle lanes used for bikes and vehicles “have missed the mark when it comes to spurring new riders.” A 2014 survey statistics show that approximately 1.7 percent of work-bound Chicago commuters – an estimated 21,000 individuals – ride bicycles. However, in populated cities of over 1 million, Chicago ranks second behind Philadelphia that has 1.9 percent bicycle commuters. The ATA is urging Mayor Manuel’s administration to make a solid commitment in constructing an additional 100 miles of the proposed 180 new miles of bike lanes by 2020. This commitment would include bike lanes on low-speed residential streets as a way to connect public transportation to schools, parks and stores along with low traffic marked bicycle lanes and physically protected bike routes. The ATA also hopes that the mayor’s office will commit to off-street urban trails constructed along Chicago River and the lakefront. If the Active Transportation Alliance gets its way with the newly proposed bike lanes, eight out of every 10 Chicagoans would reside within a quarter of a mile of one of the many low stress bicycle routes. Currently, only one in three city residents have quick access to existing bicycle routes. The 2020 Chicago’s Streets for Cycling Plan will implement a bold goal to install a world-class bicycling network throughout the community by providing more bike ways to areas where more individuals reside. The Chicago Department of Transportation (CDOT) agrees with the aspirational goals of ATA of installing and additional 100 miles of bike lane core doors by the year 2020. However, the Department of Transportation appears focused on constructing the next 50 miles now while waiting for additional funding. This because the cost of building a buffered bicycle lane is roughly $125,000 for every mile. Alternatively, barrier protected bicycle lanes have an approximate price tag of $200,000 for every mile. Many of the city’s leaders recognize that the Streets for Cycling Plan 2020 will require time to complete. The vast network of bike routes when completed will consist of 645 miles of bicycle paths that include 275 miles of crosstown bicycle routes, 310 miles of greenways throughout neighborhoods and more than 60 miles of spoke routes that take bicycling commuters from Chicago’s inner loop out to the city limits.